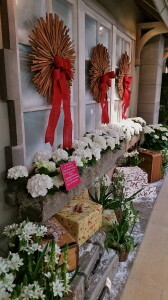 ALL NATURAL HOLIDAY DECOR - Decor Designs, Inc.
More than any other season of the year, the winter holidays give us a great excuse for decking the halls with all sorts of natural accessories, ones traditionally kept outdoors. I don’t know about you; but I think bringing the outdoors inside somehow helps me prepare for colder months when so much time is spent indoors. This trend starts in the fall when our homes are decorated with dried grasses, leaves, berries & gourds representing the harvest. Then comes winter, of course, along with the Christmas holiday bringing evergreen trees & garlands, poinsettias, mistletoe and holly to our indoor spaces. While these natural elements represent tradition and bring back fond memories of family and friends, there are so many other ways to decorate your home for the holidays using more everyday items from Mother Nature. This weekend I had the chance to check out a wonderful holiday display at the Chicago Botanic Garden in Glencoe, IL. I love how the experts there incorporate unexpected natural elements into traditional holiday decorating forms like garlands, wreaths and trees. Among my favorites this year were Christmas trees and wreaths constructed with cactus-like bromeliads, bows made from birch bark, and wreaths made of cinnamon sticks. But, if you don’t have time to get quite that creative, you can still use things you might already have in unexpected ways to craft your own unique holiday cheer. Maybe a bowl of Red Delicious or Granny Smith apples nested in a bed of greens on the kitchen counter? What about a dining table centerpiece of birch logs with candles and evergreens? How about cranberries and oranges as filler for clear vases or jars? A few branches from the tree in your yard will fill a floor vase nicely and one single red ornament hanging from a branch will add the finishing touch. 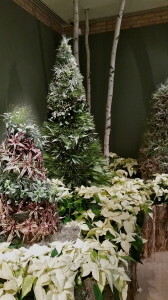 Or, why not use magnolias, hydrangeas and other non-traditional flowers mixed with your evergreens as a nod to the creative? The sky really is the limit when it comes to making your winter decor come alive with items from the great outdoors. Don’t limit yourself to the tried & true! 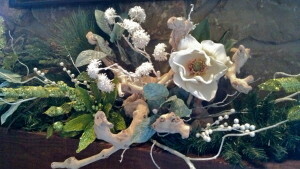 Look for fun, new ways to mix the gifts of Mother Nature into your own holiday decor this season. 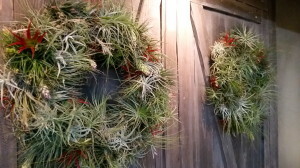 Happy Holiday Decorating from Decor Designs! 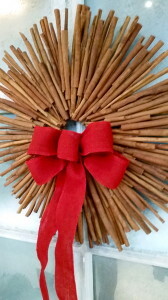 This entry was posted in Decor Designs, Inc., Decorating Tips, Seasonal Decorating and tagged Holiday Decorating, Seasonal Decorating on December 8, 2014 by Jeff Rice.